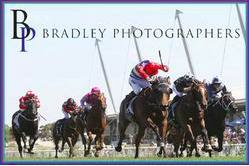 Kim Waugh Racing Stables :: Fuchu Breaks Through at Just 2nd start for the Stable! Fuchu Breaks Through at Just 2nd start for the Stable! Fuchu put the writing on the wall when he made his debut for the stable at Newcastle two weeks ago with a fast-finishing 3rd and he didn't disappoint today when he relished the step up in trip and drop in weight when winning the 1400m class 2 handicap with in-form apprentice Robbie Dolan in the saddle! 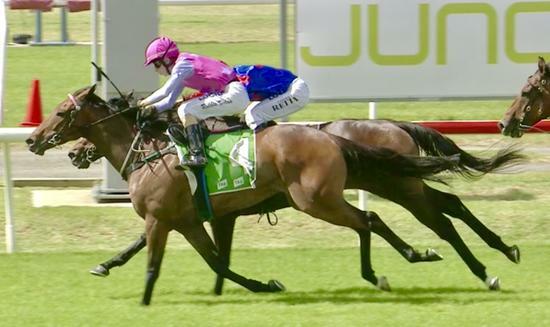 Settling well back in the run the son of All Too Hard was still 2nd last on the home turn, but once eased to the outside sprouted wings to hit the line strongly and score his 2nd win from just 7 career starts. The stable's only other runner on the day, Staraday finished 5th beaten 2 lengths. Congratulations to the connections and to all the team!